Polish Drops hair polish has been formulated for ultimate shine. It eliminates frizz, smooths frayed ends and split ends by sealing hair cuticles, leaving hair soft and brilliant without weighing it down. Made with natural botanicals, perfect for all hair types. Are you suffering from dry, frizzy, or dull hair? Maybe split ends are bringing you down? Then try HairGia’s Polish Drops – a hair polish designed to smooth frayed ends and frizz by sealing the cuticle and restoring shine. This anti-frizz serum is lightweight and made with natural botanicals like hawthorn for silky hair and argan oil for added moisture and shine. DIRECTIONS FOR USE: Apply 2-3 drops of Polish Drops hair polish to your hands and massage through damp or dry hair for incredible all-day shine. 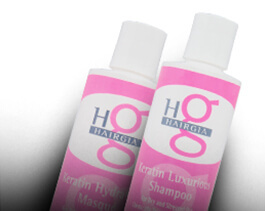 For optimal results, use with other HairGia products, such as Hydrating Shampoo 2 and Daily Hydrating Conditioner, and then set your style with Creative Hair Spray. 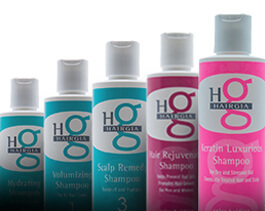 HairGia is devoted to formulating high quality hair products for all hair types, men and women, using the best botanicals that nature has to offer. Each of HairGia’s products is made with botanicals such as aloe vera, basil, and ginseng, and our products are never tested on animals. Not only are our hair products good for your hair, they’re good for the environment. We strive to give our customers the best in haircare. Our own family members test every HairGia product so that we can be certain we are providing the best results. Questions, comments, or concerns? We’d love to hear from you! Contact us online.